One Day at a Time Please! Wall Clock by Infinity. 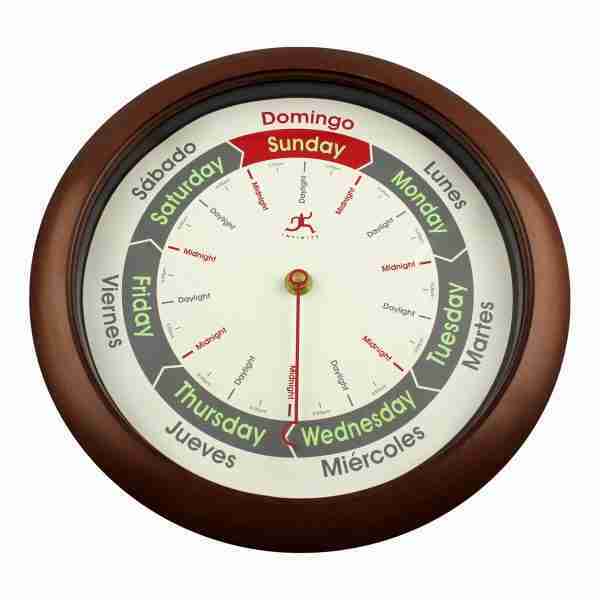 This wall clock is completely different it features weekly and daily times so you can track both the day of the week and the time of day. This wall clock is completely different from any of the standard clocks you’ve ever seen. It features weekly and daily times so you can track both the day of the week and the time of day – an innovative design and clock face with just one hand! 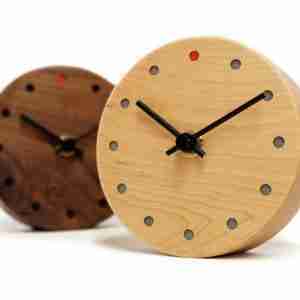 Designed by Infinity Clocks in the USA, made with high-precision electronics. * Easy to mount on a wall hook, wire or nail. * Requires standard batteries (not included in box). The Infinity clock comes shipped in a secure box approximately 38cm by 35cm by 6cm in size. Unique and innovative clock designs from the USA, featuring playful and original themes. 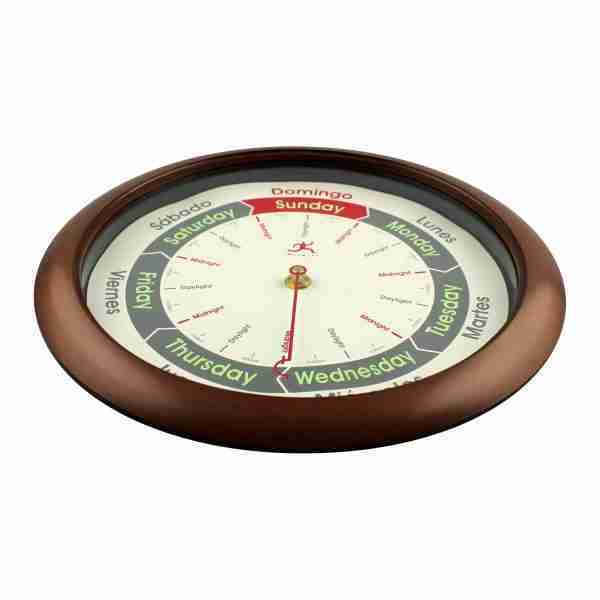 Some of Inifinity’s clocks will be a complete surpise and others feature vintage charm. 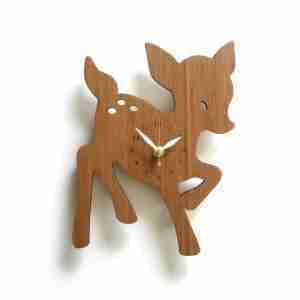 The Fawn Bamboo Clock by Decoylab likes to hang out where cute decor is needed on a wall. A unique clock design from Decoylab that's great for fun and playful spaces. Made from eco friendly bamboo. 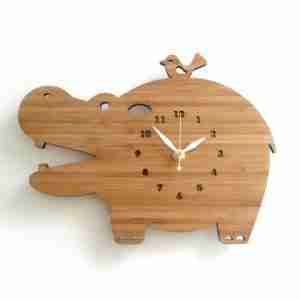 The Hippo Bamboo Clock by Decoylab. Hippo and his friend like to hang out where cute decor is needed on a wall. A unique clock design from Decoylab that's great for fun and playful spaces. Made from eco friendly bamboo. Small yet beautifully crafted this clock can sit on a table or hang on a wall. Your guests will admire its simple yet attractive design. 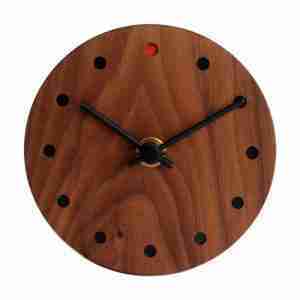 A mini version of the popular large round Maple wall clock. 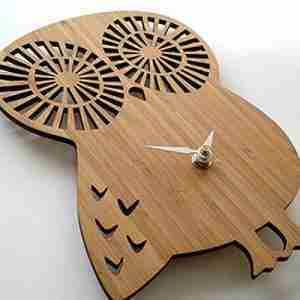 Small Owl Bamboo Clock by Decoylab featuring a small and friendly Owl clock that likes to keep track of time. A unique clock design from Decoylab that's great for fun and playful spaces. 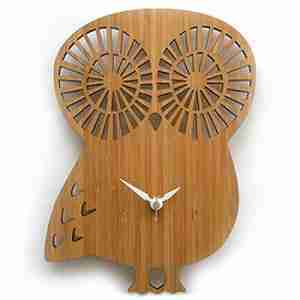 Made from eco friendly bamboo this Owl clock is perfect for kids and adults alike.